Natural Shell Fashion 3 Rows Coco Pokalet. Nat. 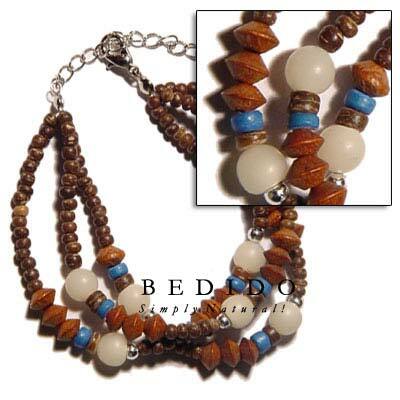 Brown W/ Buri Seed, Palmwood & Silver Metal Ball Seed Bracelets - Widest collection of handmade body jewelry we also have unique decorative shell, wood and coconut handicrafts.